It is no surprise that 3D printers little by little, they have found a place in both industrial and technological sectors, where most are focused on the manufacture of components of plastic, both on Earth and in space. 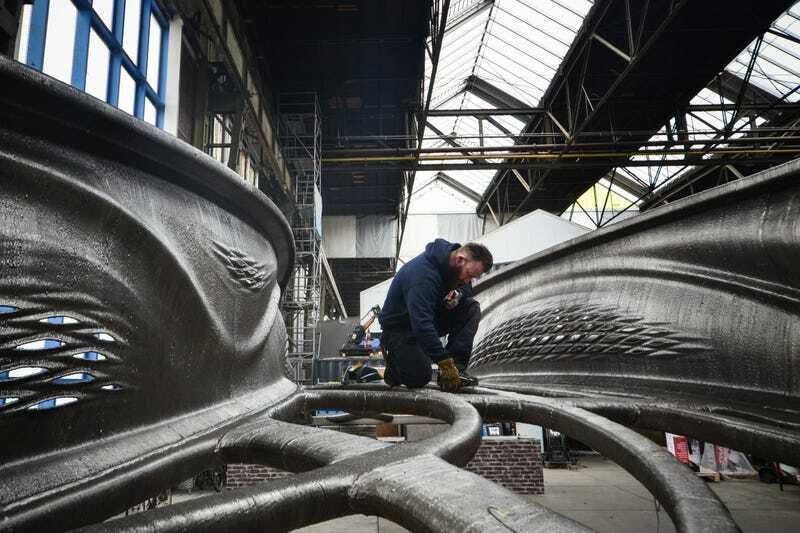 Of course also interesting projects that want to 3D printing to serve for other things, like for example for making candy, cars, bridges and buildings have emerged. But to this day, there are several developments that are looking for that glass is the next most used in the 3D printing material, just behind the plastic, where one of the most spectacular is the one presented by the MIT which consists of handling your glass liquid, and thus produce articles through 3D modeling programs. But not all are printers, since we are now a project seeking to reduce costs and make a little more “traditional” printing, how? using a robotic arm. Researchers at Virginia Tech and the Rhode Island School of design have created a system that rather than serve as a mechanism to print in 3D, is a system that seeks to experiment and investigate the behavior of the glass in these devices. This system consists of a container that loose glass fused on a ceramic base, this base moves thanks to a previously programmed robotic arm. As mentioned, the system is somewhat primitive, compared to other options, but the beauty of this is experience for future improve technique and make more complex designs, because the main point of this system is It can be used anywhere, not in specialized laboratories, as well as represent a reduction in costs. In addition, the approach that is being given to this system is the artistic path, since the intervention of computers is minimal, therefore some of the involved artists mentioned with printing 3D glass with robots is a merger between art, design, technology and science, because in this way it makes use of arts traditions and all the work is not based on digital arts.